Its the weekend which can only mean one thing-time to put our feet up, let our fingers do the walking (do you like my retro referencing) and soak up some plus size style inspiration. Today its all about fat boho babeness.Scroll along the pictures as it runs to two pages! 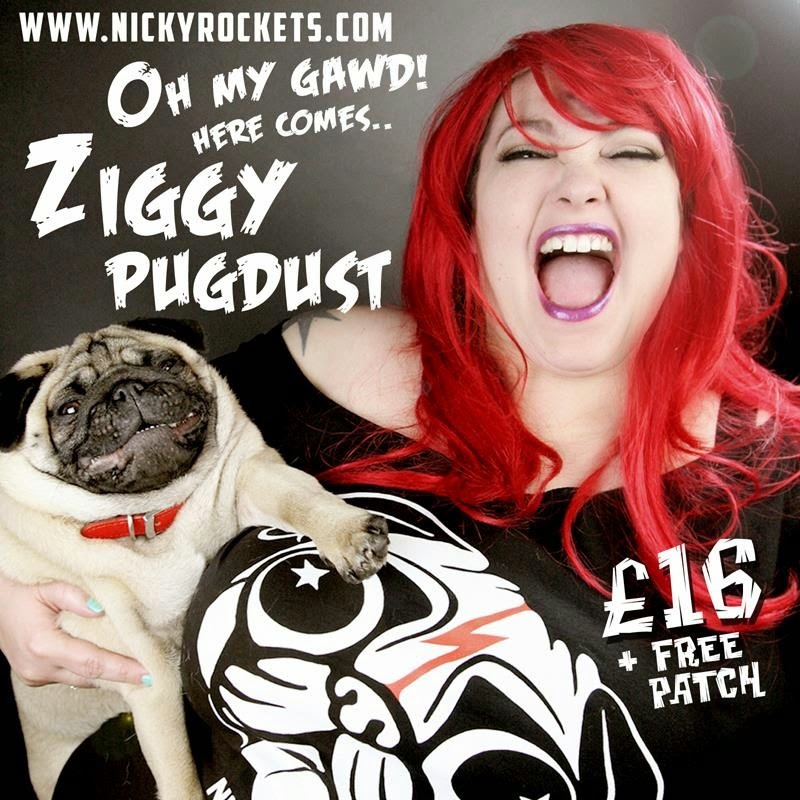 Introducing the brand new Ziggy Pugdust design.Mister Truffles is so excited he can't stop smiling . £16 in sizes S-5XL with a free patch for the first 50 orders while stocks last.